Our company lives on always new ideas and that is what drives us. For example, we were involved in the market launch of our “mycolisbox”, which was registered in 2011 (Patent No. 2975273 B1), an electronic parcel compartment system. We are pleased to inform you that we, the managing directors of the JU Group, are allowed to accompany the employees of the company in the further expansion of the domestic and pan-European market development. Currently, we are working on a new concept that will help the construction industry and building-related knowledge sharing services. The rapid upheavals in information technology we are currently experiencing allow us to offer something completely new. The employees of the JU Group and we are pleased to introduce you to JU in a new guise. Following the newly designed main catalog, our homepage now shines in new splendor. Our corporate design has adapted to our products and quality standards and was gradually introduced in 2017. 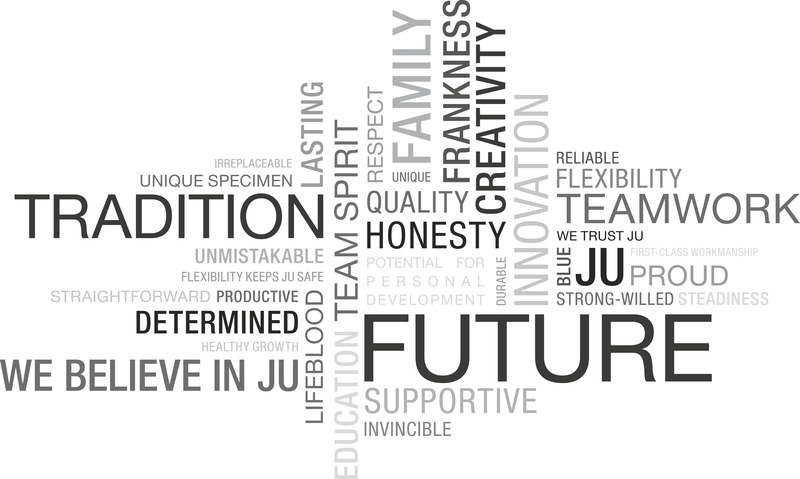 If you choose a JU product, you will receive a high quality product and optimal service. JU-Metallwarenfabrik is a company that is constantly working to make mailboxes even more functional and beautiful. We firmly believe that good design creates the requirement not only for selling the product, but also for influencing the actions, emotions and perceptions of each individual. We believe that it is important to enjoy the time you spend doing what you do – We love what we do!